When we hear miracle prayer stories they encourage us. Many times in life we need God to answer our prayers. And sometimes we wonder does God hear, does he answer, and if he delays we get discouraged. However the Bible says we must ask, seek and knock, and we must persist in asking. 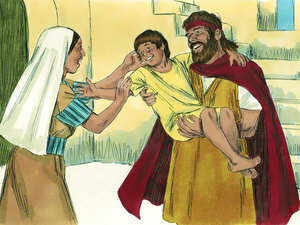 Elijah was a prophet of God who lived during the days of Ahab and his wife Jezebel. Following are some of Elijah's miracle prayer stories. During Elijah's stand off with the prophet's of baal he had a miracle prayer that let the people know that God was the only true God. 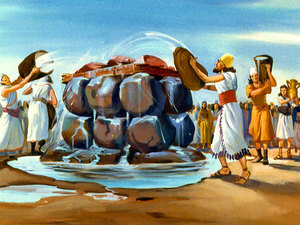 First Elijah had 12 barrels (4 barrels x 3 times) poured over the burnt sacrifice and wood he had built before he prayed. After Elijah had prophesied it would be a drought for a few years, he then told Ahab that it would rain again. This miracle prayer story is an example of the need to persist in pray when seeking God's help. This is Elijah's miracle prayer on mount Carmel. 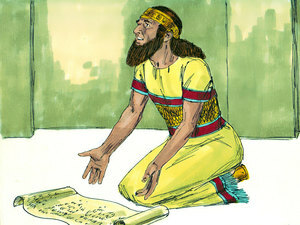 Following are two of King Hezekiah's miracle prayer stories. King Hezekiah had a miracle prayer when Sennacherib the king of Assyria sent his army to surround Jerusalem, with a message that the Lord would not be able to save the Jews. I hope you found these miracle prayer stories encouraging. Click here to read my miracle prayer story.